Do you have a medical condition such as diabetes, elevated cholesterol, or high blood pressure? Are you uncertain as to what type of exercise is the best for you? Or, do you prefer to exercise at home but want some expert guidance? If so, then our Online Health & Fitness Coaching Service is for you! Imagine no longer needing medication for diabetes, high blood pressure, or cholesterol. I specialize in helping people who are out of shape, or who may have medical conditions. Here is a brief bio: Stan Reents, PharmD. My background combines many years of medical experience with more than 10 years of health coaching. In addition, I can develop a fitness plan based on recommendations from your physician, chiropractor, or physical therapist. YOU CAN EXERCISE AT HOME! Are you tired of waiting for machines and carrying sweaty clothes around? Avoid the hassle and exercise at home! I will give you the personalized advice you need. At only $99/month, our online Health & Fitness Coaching Service is cheaper than hiring a personal trainer at a gym and definitely cheaper than prescription drugs and health care services for conditions like diabetes, hypertension, and coronary artery disease! Personalized advice from a knowledgeable, certified, health-fitness expert. Initial phone interview; unlimited e-mail consultation thereafter. 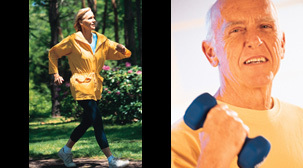 Weekly exercise plans utilizing color images and videos customized to your needs. "Dear Dr. Reents: I will be recontracting with your company for another couple of months because I truly believe this is helping me." March 15, 2012. • Jaron I., a 24-yr old elite cyclist who previously had developed exertional rhabdomyolysis after an intense training ride. "By the way, I only paid for a month with the thought in mind that I'd limit my losses if this was yet another disappointing falling short of all that was advertised. Well, Stan, I'm already beginning to feel like I'm getting way more than I deserve for what I paid. Thanks again and again." August 2, 2008. • Clay R., a 58-yr old man with multiple medical problems. "I'm reading the articles you've written and suggested and I feel like I'm 'on my way.' I could not have begun without your guidance and expertise. But equally as important is your continuing to be there. I need it. I really want to introduce fitness training into my permanent lifestyle and keep it that way." July 27, 2008. Regular exercise can help prevent these medical catastrophes.